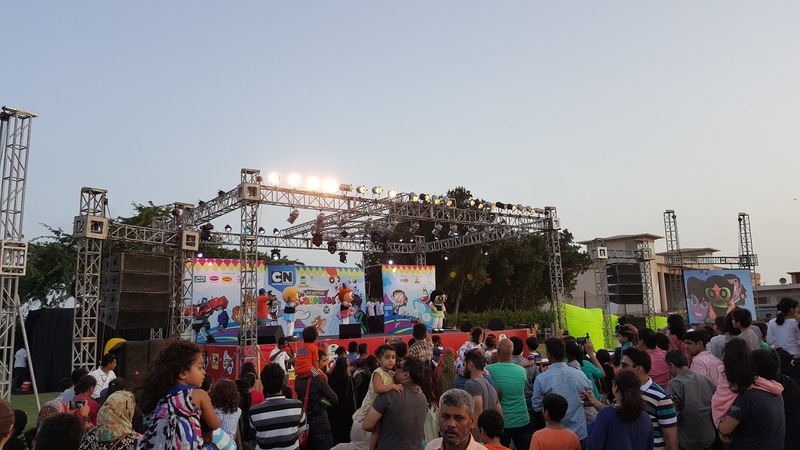 Cartoon Network recently organised a carnival at an enormous spot in Karachi, by the sea, The DHA Golf Club. The carnival was divided into two time slots; morning and evening, given the soaring temperature and humid weather conditions of the city, most of the audience preferred attending the evening slot with their children. Go Active Carnival is part of Cartoon Network’s renowned global franchise ‘Move It Movement. It aims towards educating and motivating kids and parents alike to get accustomed to a healthy lifestyle. Some of the most engaging stalls were basketball, cricket & rugby and one by Omore that had a ball pool installed. Children who picked a specific ball with the name of the ice cream written in a given time frame were awarded that very ice-cream or ice-loll. 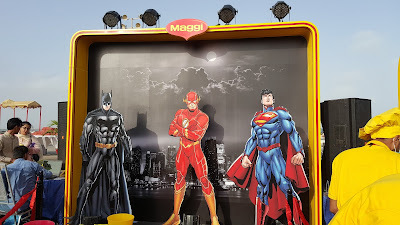 I had taken my niece and nephew along and they seemed to enjoy the Maggi kiosk the most as they had DC superhero mascots placed in the photo booth. 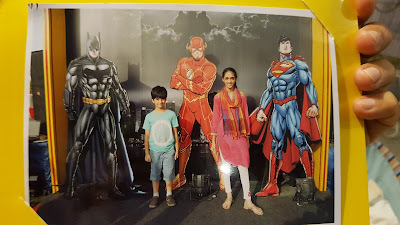 The brand was not only sampling their new flavour (pepper chicken) but were giving children a chance to preserve memories as well by giving the photographs just 30 minutes of snapping them. Research has validated that more screen time (be it on a computer, tablet, or mobile phone) is making children more moody and lazy, not to mention them being exposed to chances of being obese. Events like these ensure that they are availing an opportunity towards maintaining their physical fitness and a healthy lifestyle. So do your children and yourselves a favour, have them actively engaged in outdoor activities. The carnival was presented by Knorr Noodles and various associate sponsors included Nestle Koko Krunch, Milo, Surf Excel, Horlicks, Paddle Pop with Omore.